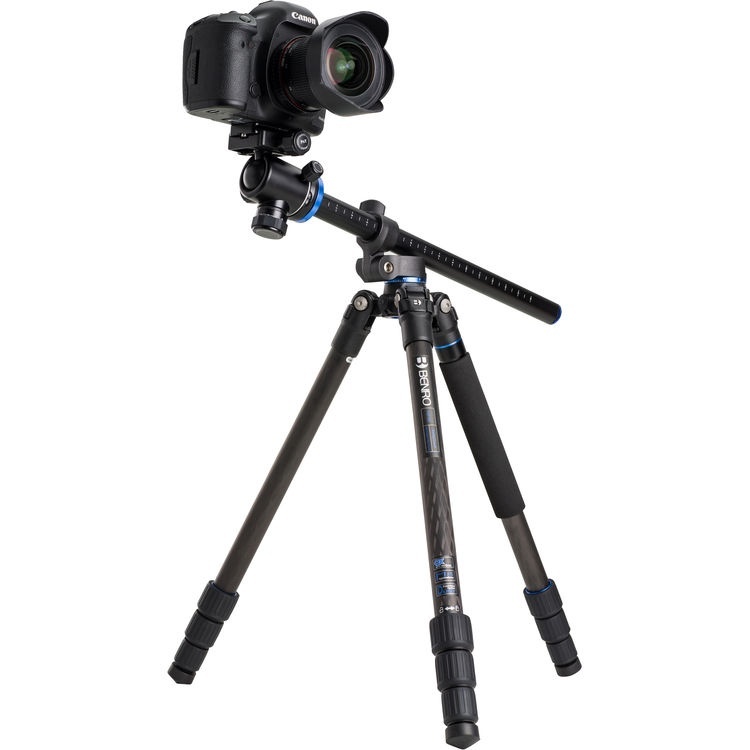 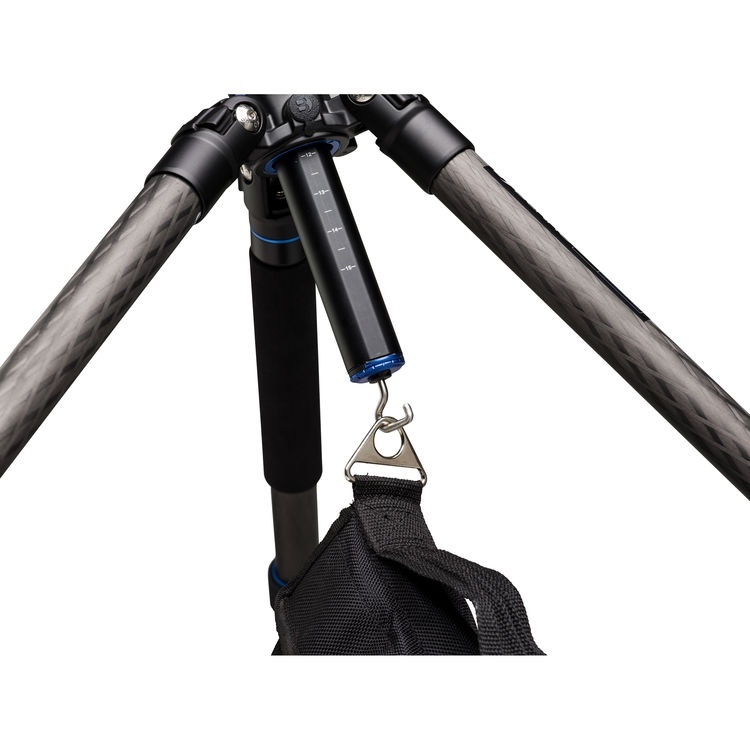 The FGP18C Go Plus from Benro is an carbon fiber, 4-section tripod which offers a variety of studio-support amenities in a compact, travel-tripod design. 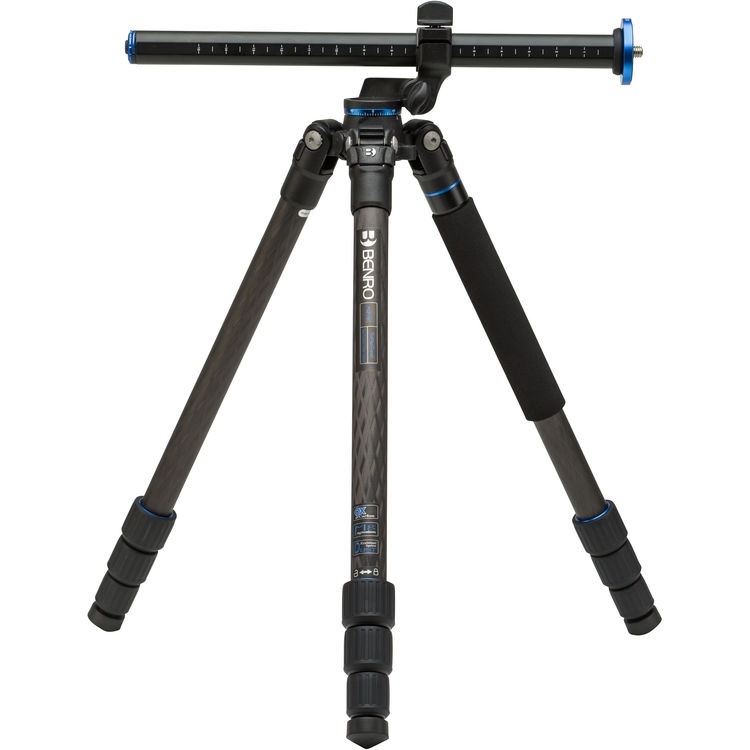 Sporting an impressive strength-to-weight ratio, the FGP18C can support up to 22 lb while weighing just 2.9 lb. 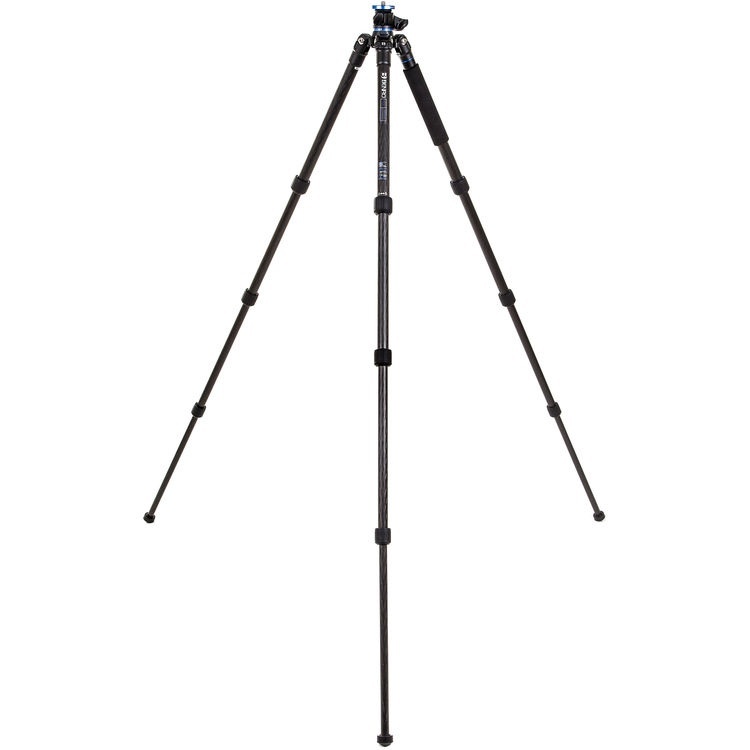 Usable at either full height or ground level, the tripod can extend up to a maximum height of 60.6" or be lowered down to a minimum height of just 14.6". 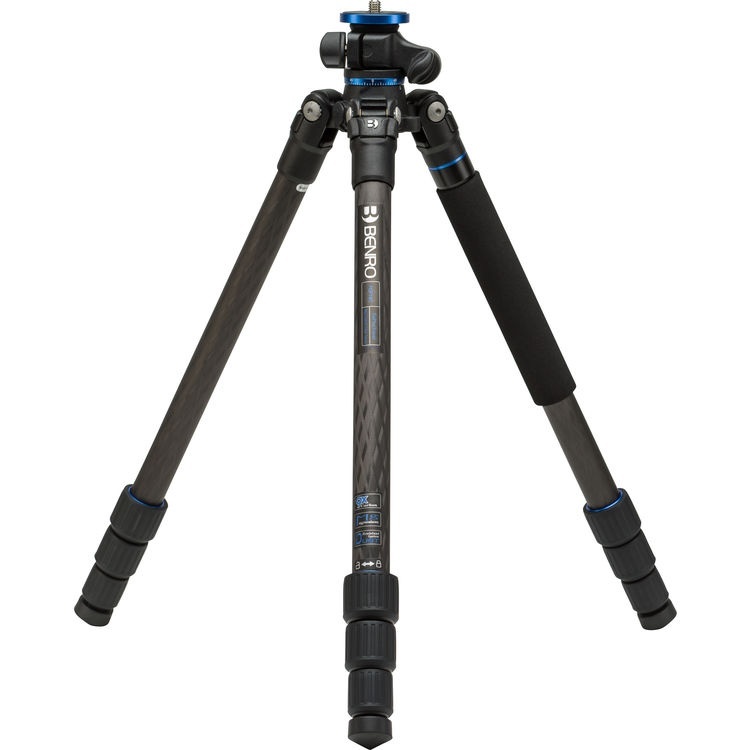 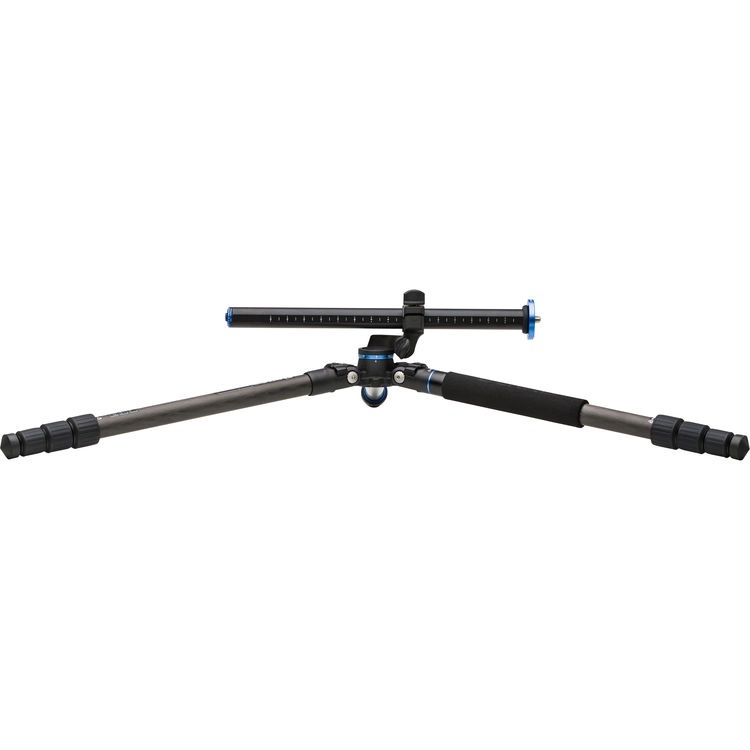 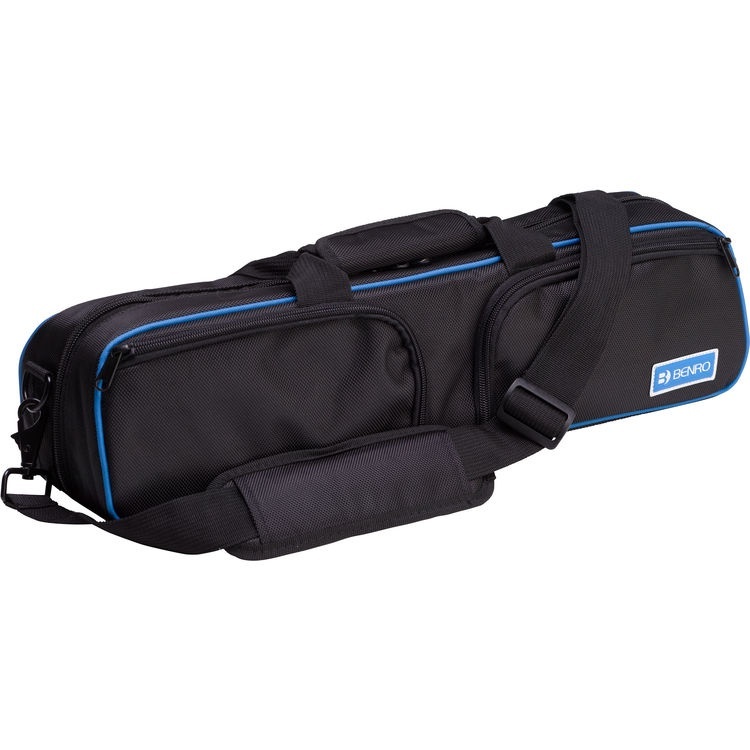 Its compact and travel-friendly design can be directly attributed to the reverse folding legs which break the tripod down to just 18.1" in length. 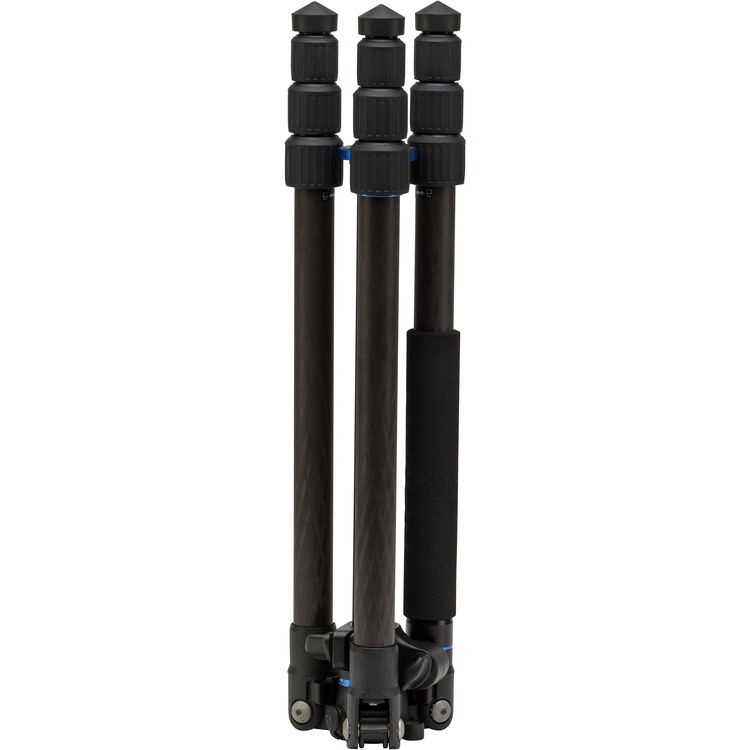 Each of the tripod's legs features a 4-section design allowing for the optional deployment of different leg sections to achieve varying heights. 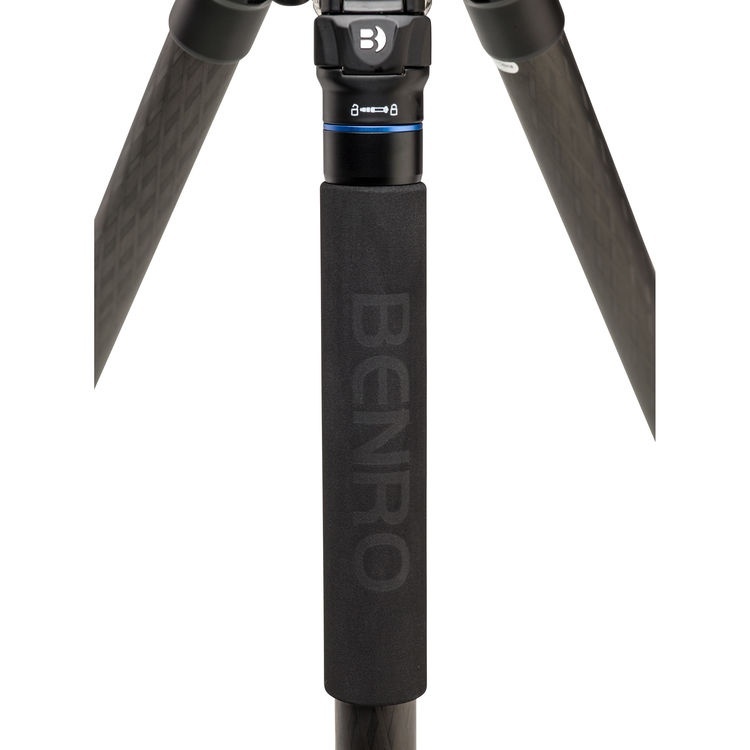 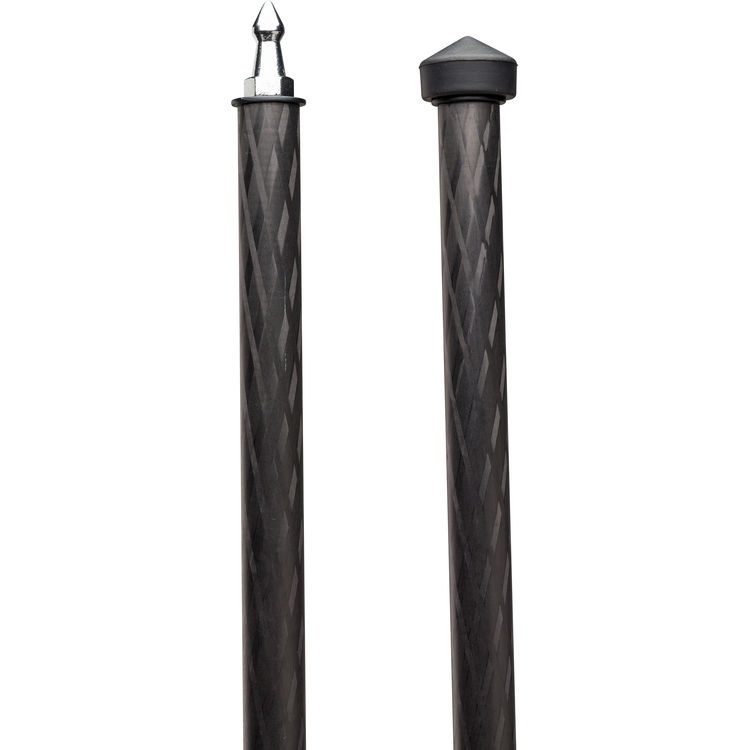 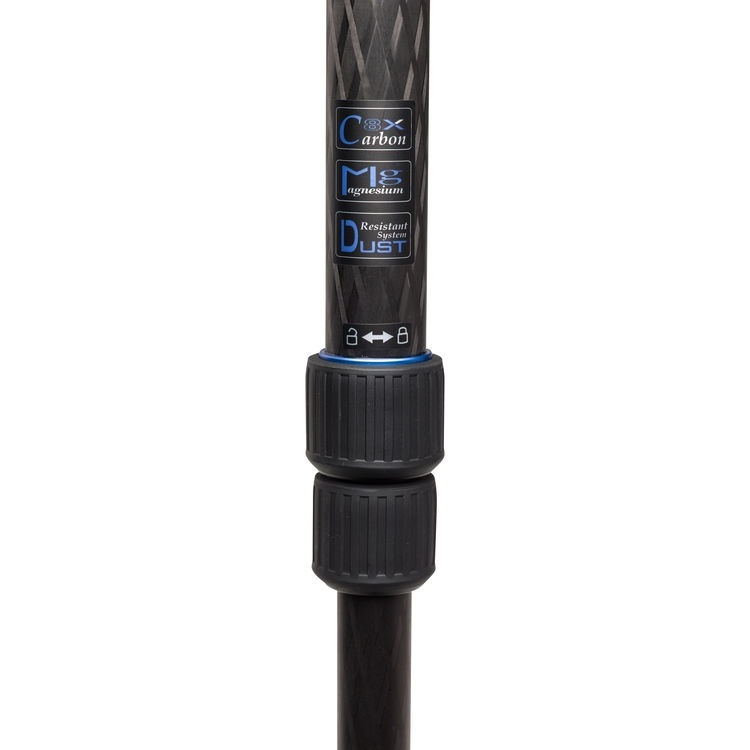 The legs also utilize Benro's sealed twist-locks which help to resist dust and moisture. 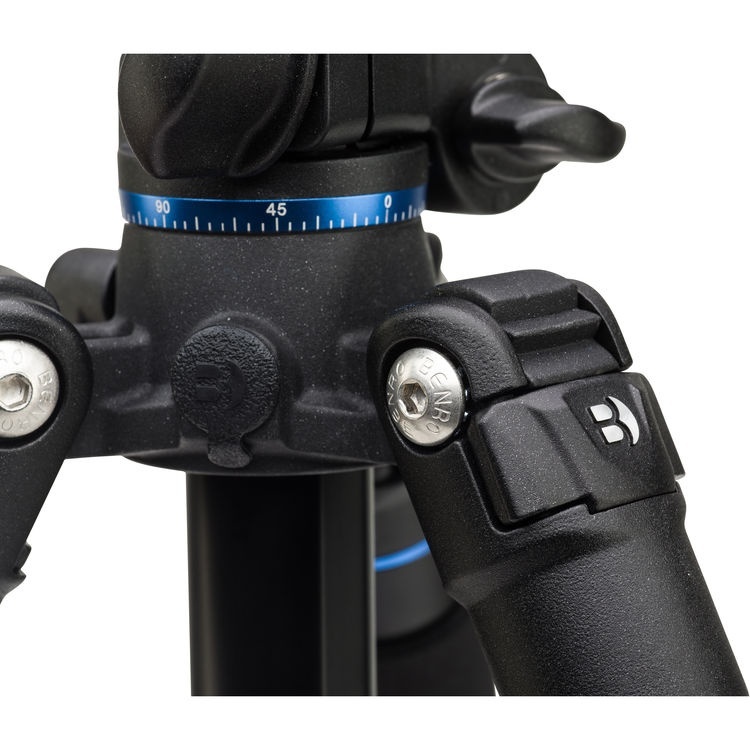 One of the legs, marked with a blue ring, can also be joined with the center column to form a monopod - a useful feature for shooting in environments where tripods may not be permitted. 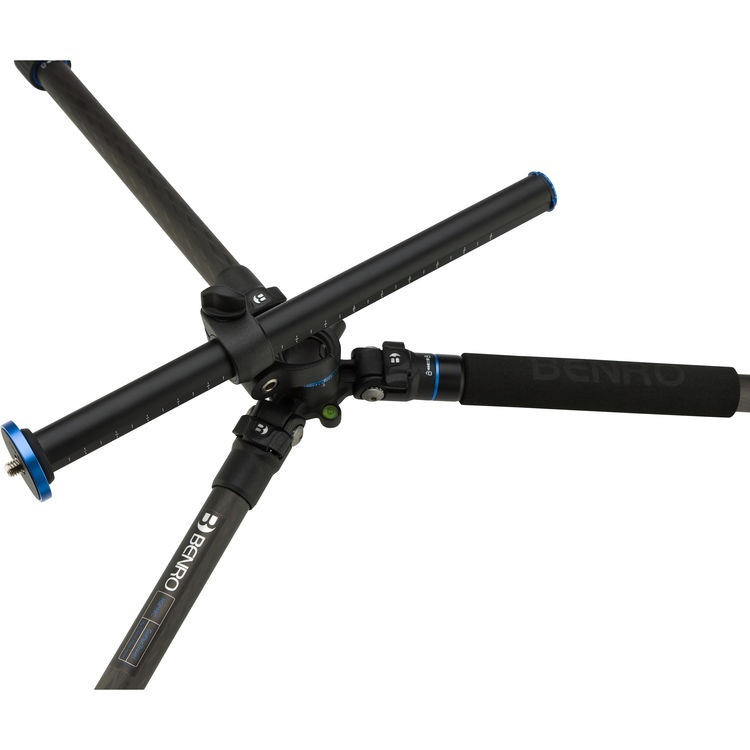 The center column also features a unique lateral arm function which allows the column to tilt horizontally and lock in a wide range of different angles and positions. 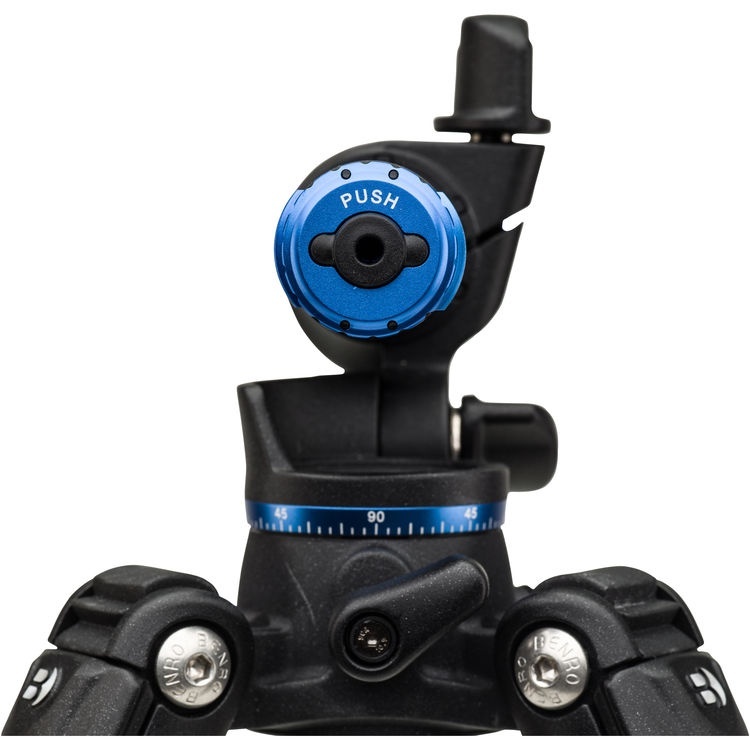 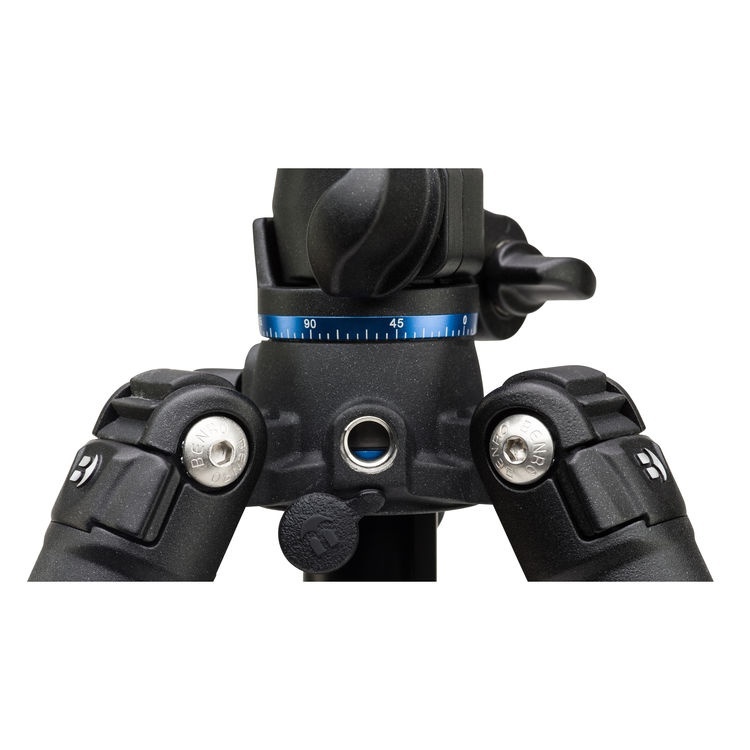 The tripod's top plate features a standard 3/8"-16 mounting screw ideal for attaching most common tripod heads. 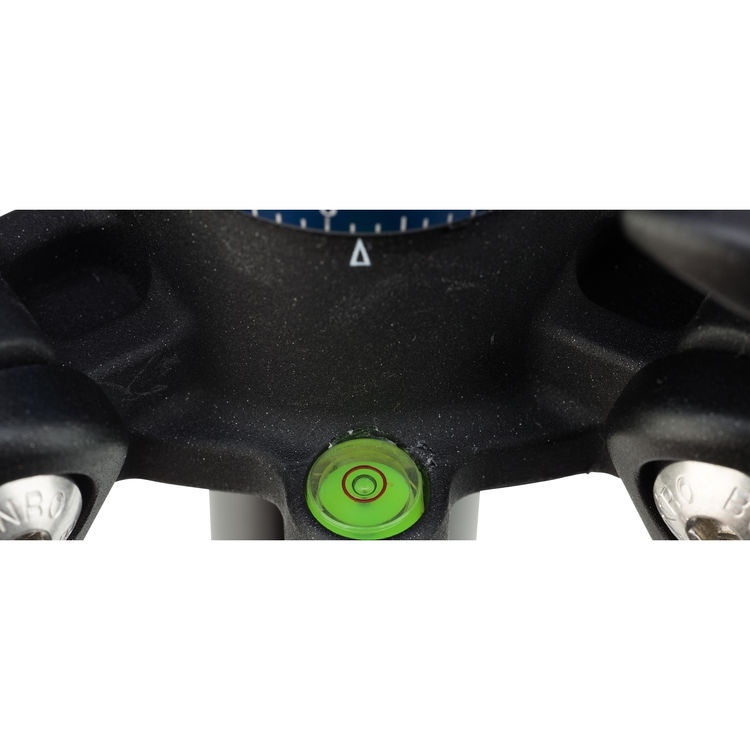 Additionally, the FGP18C includes a carrying case and a set of interchangeable spiked feet for increased stability in dirt, sand, mud, and snow.